Big News! Come Help Me Celebrate! - The Resourceful Room! I am so excited! I can't wait to start the new school year. I've been in to see the classroom and met the teachers I will be working with - the school is great, and the staff is amazing. I feel so blessed!! 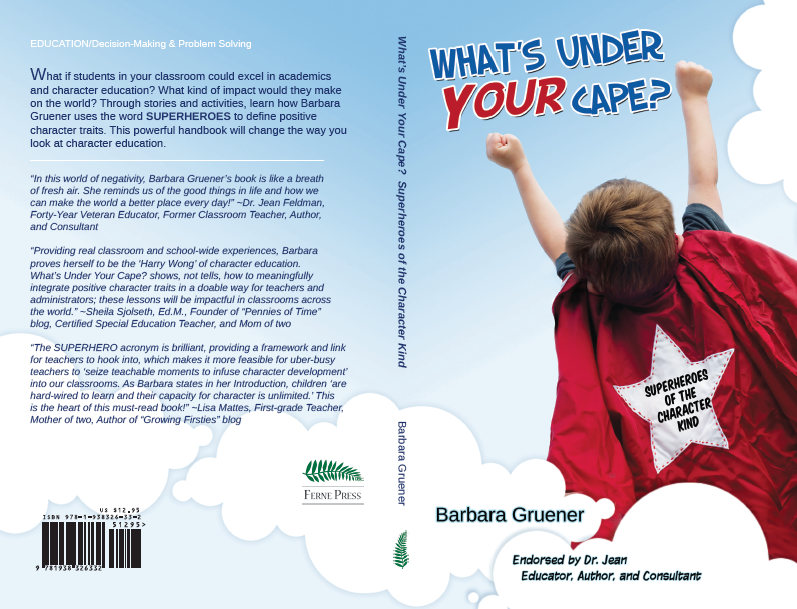 A copy of Barbara Gruener's Book What's Under Your Cape? 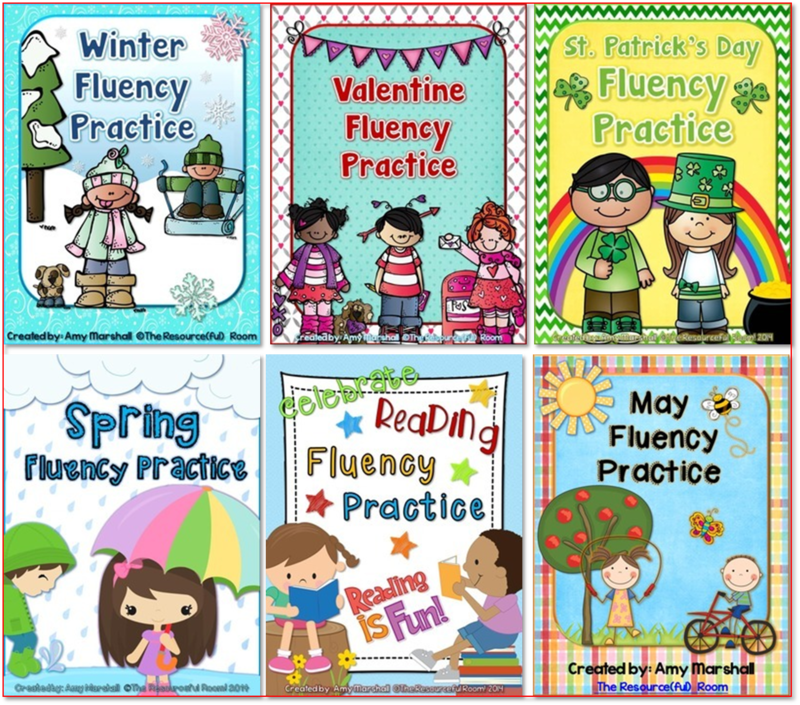 Plus Six of my fluency packs! This is an amazing prize package worth over $100! 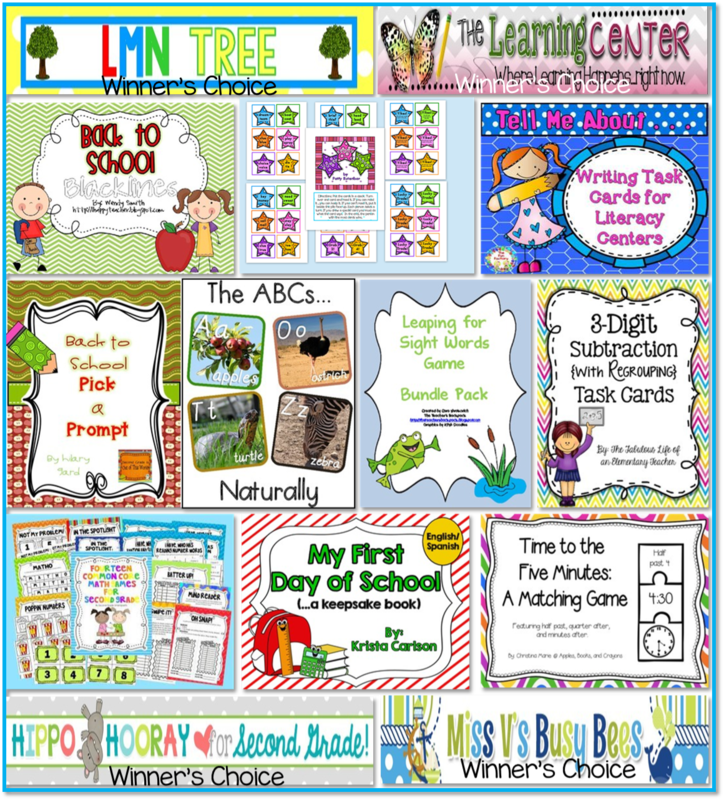 Perfect to help you get ready for a new school year! Special thanks to my Blog friends for their amazing donations!! You can enter using the rafflecopter below, one winner will be chosen at midnight on Saturday July 19th. Please be honest with your entries they will be verified! Thanks for taking the time to read my blog, stay tuned for great resources and ideas, there's lots more coming! Congratulations! I'm sure you will love it. My favorite first day of school tip is being patient. I like to have labels ready for students to quickly and correctly label their supplies. Second grade is so fun! I taught it my very first year of teaching. I liked it a lot, but the next year I found out that fifth grade is the spot for me! Enjoy teaching second! They are still cute and cuddly but are (mostly) independent and can follow instructions (most of the time!). Best of luck! 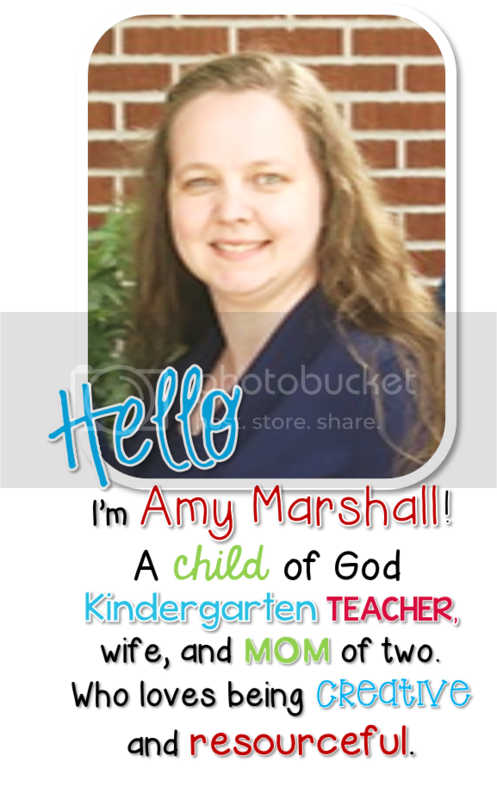 Welcome to Second Grade!I have loved it for 26 years! Make a wordsearch with your students' names when they arrive the first day so you can do what you need to! 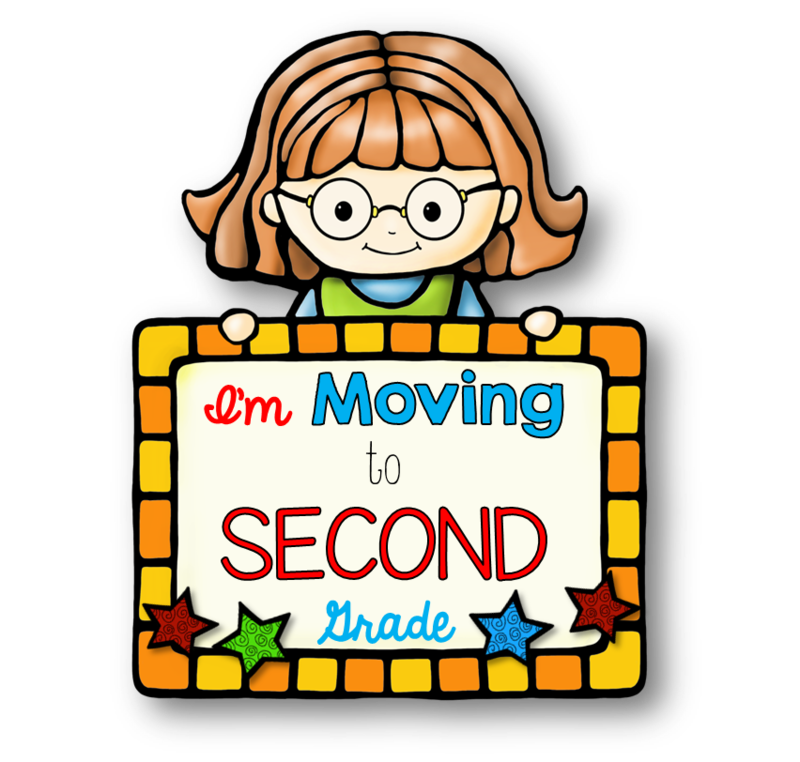 I am moving to 2nd grade too, my fav first day of school tip is to be organized but flexible! I have playdoh on top of their desk, gets them relaxed, I get to speak to the parents, and meet the children. Enjoy second grade! The first day is low key. We visit different areas of the school for the benefit of new students, go over classroom rules, read books and do group activities. Even though I have some returning students in my multigrade Special Ed class, we work to make sure everyone has a great day! I think the best advice I have received is to set your expectations the first day. My favorite is Valentine's Day! MY tip for the first day is to wear comfortable shoes. My favorite tip is to plan more than you could possibly do so you don't have to worry and smile, smile, smile! My first day of school tip is to just settle in and get to really know your students. Don't jump into curriculum, if you can, for a few days so that you can develop a sense of safety and community in your classroom. Congratulations! My tip for the first day & every day is to meet your students at the door with a smile. Congratulations on moving to 2nd grade! You are going to LOVE it! Teach rules, procedures, and expectations from day one. Listen to the students and get to know them and what they'd like to learn for the year. My tip for the first day of school is SMILE A LOT! My tip is to have a list of stickers with students names already printed and bins to put supplies the students bring in to the room. That way you can take them up and stick a sticker on at the same time. Also dress pretty and smile! My tip is to overplan...better to have plenty to do than nothing at all! But also remember that everything takes one hundred times longer than you think!